The Balanda community in Juba has called for the removal of Tombura state governor Mr. Patrick Raphael Zamoi and other government’s officials in the state, following the killing of four prison officers at Governor’s residence over the Weekend. The community revealed that those four prison officers were gunned down at the Governor’s residence and dumped at the far West of the town. During the meeting, the relatives of the deceased said that the two of the victims were on duty at the prison quarters when the state governor ordered for their arrest since they were accused of supporting the opposition. 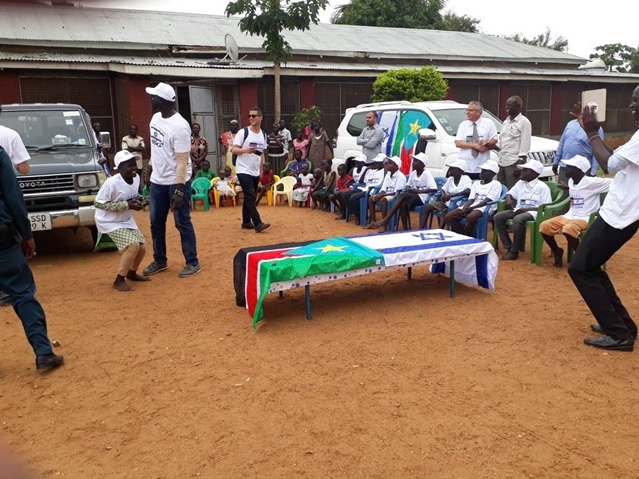 Chairperson of Balanda community Network for Peace in Juba, Mr. Manga Francis told Juba Monitor that the killings of the four officers under the watch of the current leadership was not the first of its kind to have occurred in Tombura state. He confirmed that the community had all the necessary evidences that those people were shot and killed at the Governor’s house. Mr. Francis said that his community is calling on the President to remove the Governor since they are not after fighting but peaceful coexistence though their four people were killed purposely. “Within this year, it is the second incident. He had been doing it and we had been reporting such acts up to the office of the President,” Francis added. He recommended that the president should remove and replace him as soon as possible since they need peace to prevail in Tombura state, saying that it is not a time for bloodshed. Katenia Basia, a brother to the two deceased said that he was saddened to have heard the death of his relatives who were shot at the Governor’s House. He said that these people were prison officers rather than calling them as drunkards. He wanted the President to remove the Governor, citing that such people in the leadership are aiming at fueling the conflict among the tribes in the state. “If such things keep on happening then it can bring about conflict among tribes which is not the case right now. This is a single man who wants to advance violence between the Azande and Balanda Communities,” Basia mentioned. “Yes, the incident of that kind had happened here in Tombura on weekend. It happened within the Governor’s residence at night. But I couldn’t described exactly who killed those people,” the deputy Governor confirmed.